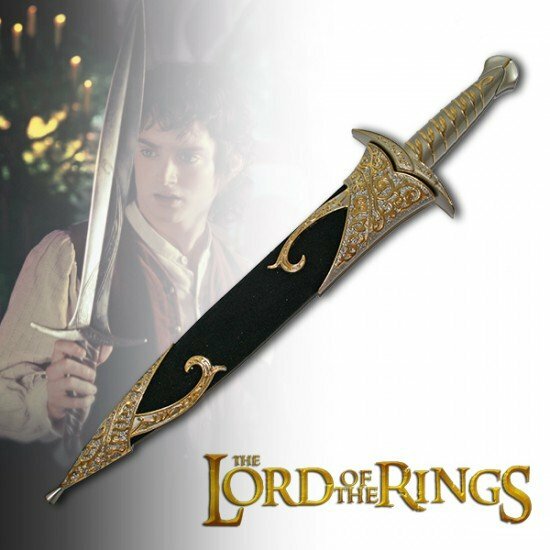 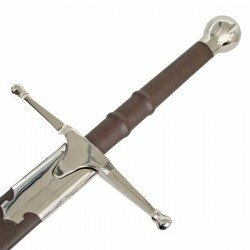 A replica, iconic 'Sting' sword in the style of that featured in 'The Hobbit' and 'The Lord of the Rings'. 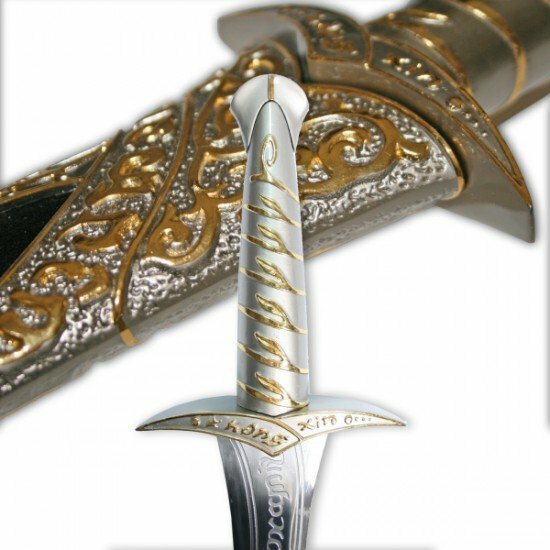 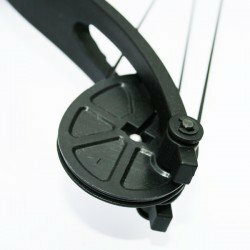 A belt clip is built into part of the decorative sheath on the reverse. 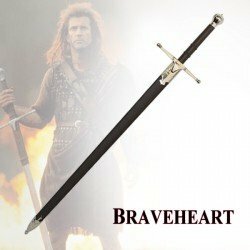 A single 'Braveheart' sword with coated scabbard, which is leather brown in colour. 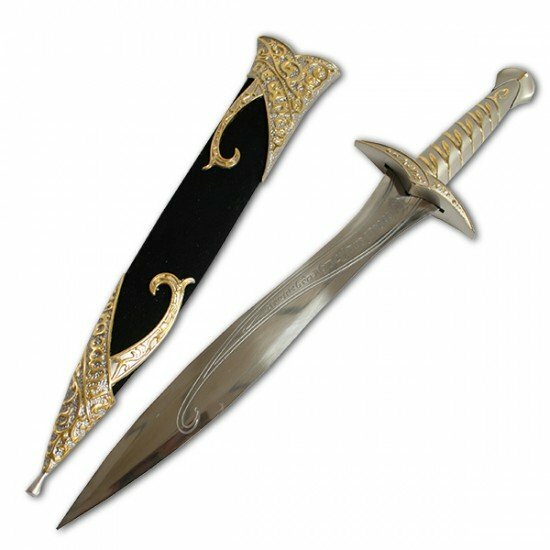 Measuring 82.5cm from hilt to blade; the full length of the sword ..